← Ascension Signal Given ! I am in a farewell mood mixed with a moderate anxiety as prior to departure. But otherwise it is rather calm and I do not get any inkling when it will happen, although today is a full moon and the last day of September must be the optimal date for our ascension. After we have finished with our cleansing job on the earth now we have no longer our destiny in our hands and must have faith that our HS will arrange our ascension in a perfect way. I’m still here and certainly not dead yet, so I know that ascension is just moments away along with my happily ever after! You are absolutely right Georgi–we have to have FAITH! I just woke up from a one-hour-sleep around 22-23 pm local time and found your email. The energy surge is incredible and my proper thinking is impaired as if being in a mental haze. From this point of energy intensity onwards our light body transformation can happen any moment. Yesterday morning I experienced very strong CC wave that caused me to stay in bed for the whole day. Bad headache continued throughout the whole night and even now I feel it ( though, it’s better now ). “Running concurrently with this is the magnetic pull on earth. This pull is aiding in your ascension, as well as the transitioning of Gaia and the waking up of the masses. It is nature’s way of restoring balance, resetting polarities, especially since the new 5D and higher energies have now flooded the earth to better aid/support the magnetic processes on the human body/mind. Let’s just say that within the last 24-48 hours, the first magnetic shifts/clicks happened (see also energy undate-September 27). I am having a hard time communicating this as April’s human understanding of the mechanics of this are limited, but in general, the first massive shift in perception, in the timelines, has physically commenced and this is what will further push your detonation levels to fully ignite, adding to the rubber band effect. Once your physical ascension has occurred you will in turn, further propel this magnetic process causing the ID split. Evidence of this reciprocal relationship between the PAT ascension process and the magnetic processes can be see even now, as the stresses to the shell of mother earth are mounting in the current pattern of earthquakes, as one example in response to your further establishing/anchoring the rainbow bridge. DOUBLE IMPACT: Earth’s magnetic field is reverberating in response to a pair of impacts on Sept. 30th. A weak interplanetary shock wave hit Earth at 10:25 UT followed by a stronger CME strike at approximately 22:30 UT. 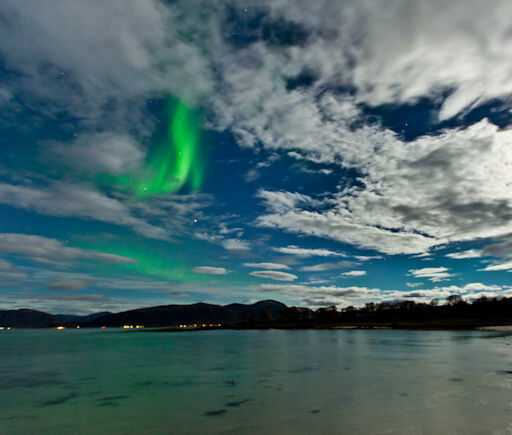 Observers in Norway are reporting significant ground currents, while the Arctic Circle is glowing with Northern Lights. High-latitude sky watchers should be alert for auroras, especially during the hours around local midnight. Aurora alerts: text, voice. Taken by Rob Stammes on September 30, 2012 @ polarlightcenter,Lofoten,Norway.